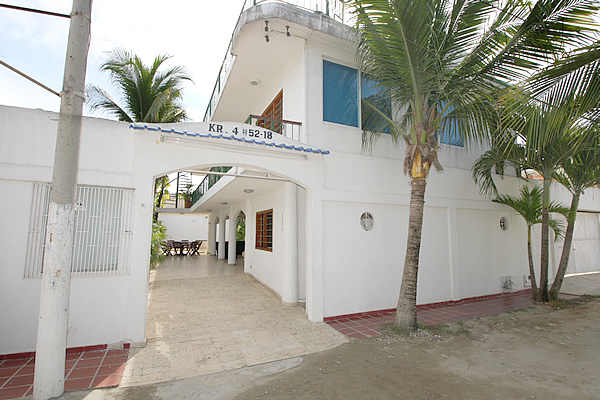 Hostal Arrecifes Casa Playa, is located in the north area of Cartagena, in an authentic fishermen village, La Boquilla, just a 10 minute drive to the airport. 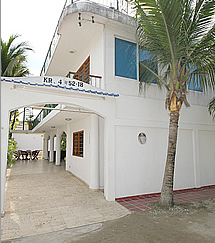 Bed & Breakfast: Offering 13 rooms for 4 persons each, and a multifamily room, all with TV's, private bath, air conditioning, ceiling fans and refrigerator. 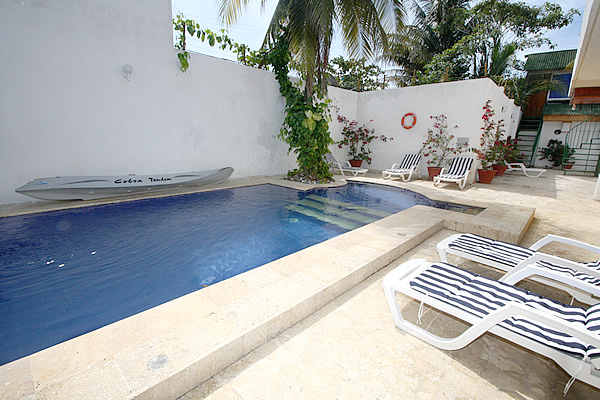 Address: La Boquilla, Cra. 4, Calle de Las Flores # 52-18. Tel: (57 5) 643 8253 - 656 7543. Cel: (57) 3115214304. Cartagena, Colombia.